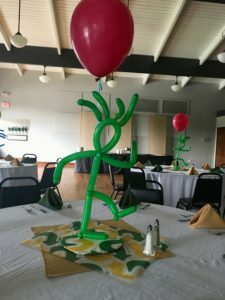 Building custom balloon centerpieces was top priority for this job. One of my first corporate clients, Thompson Cancer Survival Center, hosts the annual Subway Race Against Cancer, a 5K Walk/Run in the park. This amazing fund raiser takes place at World’s Fair Park every November. The Thompson Cancer Survival Center has been my client since 2015! 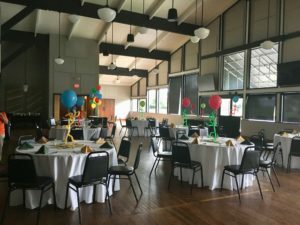 The organizers host a yearly luncheon prior to the race and asked me to provide centerpieces. They wanted something simple, inexpensive, fun & of course designed to tie in with the race! Not an easy task but with a little imagination I came up with a replica of their signature image, “The Running Men”! 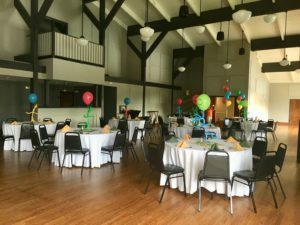 Custom Balloon Centerpieces – just what the client ordered! 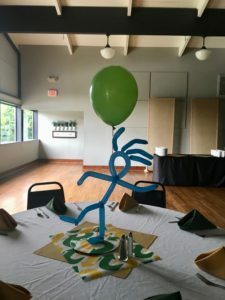 Fun & simple custom balloon centerpieces bring color and excitement to any room! Here’s the link to see what my “Running Men” are designed from! By the way, my client is looking for a couple of volunteers, size medium to large, to anonymously participate in the event. Must be fun, energetic and personable. No speaking but lots of high fives and fist bumps! Contact me if you’re interested! Running Men – Center Stage! 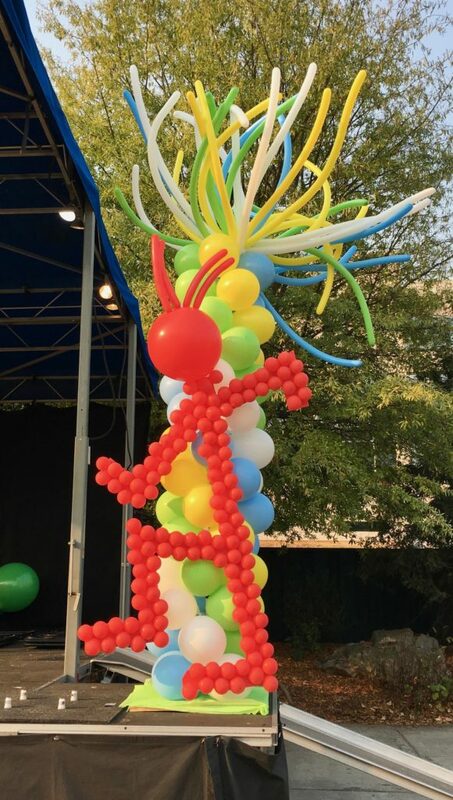 Volunteer Balloons will be at World’s Fair Park at the crack of dawn Sunday, November 12th 2017 putting up lots and lots of balloons, adding color and excitement to this amazing, yearly event! I’ll be too tired to participate in the walk/run but I’ll be there in spirit!